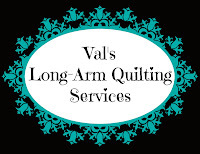 Val's Quilting Studio : Shoshone Falls, Idaho and Snow! I spent most of my weekend visiting our oldest daughter in her new home town of Twin Falls, Idaho. I'm so excited that they live here now. The canyon is beautiful and offers ample opportunities for family hiking and kayaking. The town is inviting with enough to do without being too big. All my pictures are a little "grey" in this post, as we had our first "skiff" of snow this weekend too. It was that cold, wet, fluffy kind of snow. We didn't let it stop us from touring the town and checking out the area. Yes, our grand guy WAS as cold as he looks in the below picture...but he LOVES the falls and it was the very first place he insisting on taking me to when I got there. This picture below was one of those spontaneous cute moments our kids give us as he ran up the walkway and hugged both his mom and I thanking us for taking him there. And where were the men? At a Boise State game having a ton of tailgating fun! And Jackson...he, Cami and our daughter's dog, were all home with a house sitter. I got good reports that all were well behaved. Thank goodness! So now, with only eleven days until our second grandson is born, it's time for this grandma to get lesson plans ready for school, quilts done and her bags packed! Stay tuned. Precious moments!! Second grandchild is getting close! Cannot believe you have snow already. We couldn't either! Can't imagine another winter like last..but we are prepared. Doesn't that look like a great 'insisting' place! Brrr, everyone looks cold and I know that storm is headed our way. It is such a gorgeous place year round! We always enjoy visiting there. Keep those bags packed as it looks eminent. Sure was a good weekend to watch the game. BIG victory! Glad you had a good time with the grandson! It actually snowed on me this morning as I was driving to work! Those falls are beautiful--you will have lots of fun visiting your family there! Congrats on the approaching birth of another grandchild--so fun! Beautiful scenery and photography. Great family photos also. Congratulations on your second grandchild's soon arrival. The best thing for your gradnson to do at The Falls, is to roll down the steep, grassy hill by the parking lot. Every kid HAS to do that! Exciting times with a new baby just around the corner. Enjoy! What fun family time. I think the falls would be my new favorite place too if I lived close. Looks like you had a fun family visit. Those falls are spectacular! Thoughts and prayers for your family as you welcome your second grandchild!